On Sunday we hit 10,000 subscribers on my main youtube channel!! As a way of celebrating I asked you guys to send in your questions, and let me tell you, you guys didn’t hold back lol. Which is how this became a Juicy Q&A. I actually really enjoyed answering all of these questions and as I have 4 younger siblings I feel like I can say I am a professional big sister, so I hope some of you out there can look at my stories and maybe make better decisions than I did. 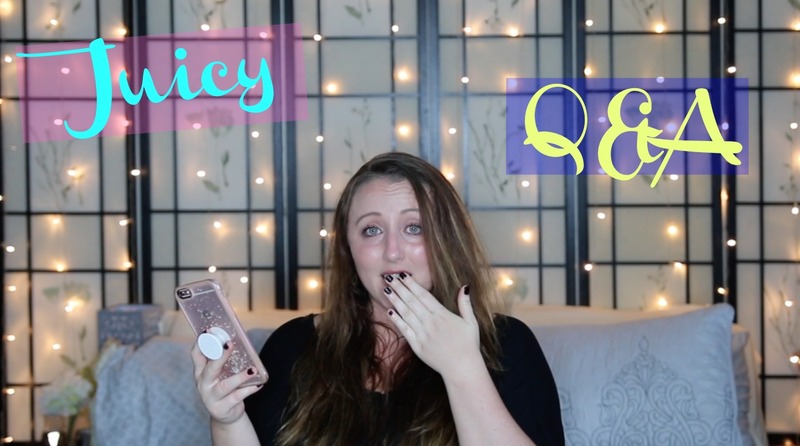 Also I loved doing this, a Q&A is an amazing way to connect all of us, so if you have any questions for future Q&A’s please leave them in the comments below so I can use them in the future, and as you’ll see in the video nothing is off limits lol.